People have asked me why we have stopped updating tehelka.com [site might not show] and whether I am unhappy at this unpleasant development. There is a monthly server charge of Rs 40,000 to Rs 50,000. Since we did not have the money at that point of time, I told them to put out a notice that the site updating would be suspended due to financial and technical reasons and we would be back very soon. But the truth of the matter -- and I have been saying this for the last eight months -- is that we have no more staffers and we are not paying salaries any more. We were 120 people when we broke the story Operation Westend exposing corruption in the defence deals on March 13, 2001, and we are now less than five. None of us is a paid journalist. Even the site was being maintained by loyalists who just came and worked in their spare time. Most of them have been helping us with our legal work because we have loads of cases to look after. We have to go to the Justice K Venkataswami Commission. We have a large number of cases pending in various courts. In the last one-and-a-half years, we have not been able to do any serious kind of journalism. We are all involved in preparing for the commission. Do I feel sad that things have come to such a pass? Frankly, no! You have to deal with these things. Of course it has been a very difficult time. But let me add that I have absolute and complete faith in tehelka's future. It has a great value as an independent media company. And this value would come to pass in the public domain in the coming years. If you want to know whether I am anxious about the future of tehelka.com I would say that I am not at all anxious about it. I am confident of tehelka's future. Do I have any regrets for what we have done? None whatsoever. In fact, as and when tehelka is healthy again, we would do the same kind of journalism that we have done so far. The saddest part of it is that we have not been able to do the kind of journalism that tehelka started in India. It took us eight months to do the story on corruption in defence deals and it is more then one year and eight months that we have been defending our story. The establishment has snarled our progress by illegal, unconstitutional, and dishonest means. There is a regret for the time wasted that could not be utilized for constructive journalism. The story has had a wide impact and won us acclaim and goodwill across the country from all sections of society. We have to look at the upsides at what we have achieved to enable us to keep going. If we look at the downsides, then we have had many. But we are taking things in our stride. Tehelka journalism has been an incredible ride. It has been a fascinating experience for those of us who have been a part of it. Besides doing investigating stories, we have done some of the best features in Indian journalism. When I go to smaller towns and villages, I am astonished to hear from the people about the kind of goodwill tehelka has generated. It has been a pitched battle between tehelka and the establishment for a year-and-a-half. When we broke the story, the kind of response we got was simply phenomenal. We received acclaim from the chief executives of the biggest private companies as well as from the people at the grass-root level. Unfortunately, nobody came forward to invest even a single rupee in tehelka.com. On many occasions, we were close to clinching deals for investments in tehelka but at the last minute, the people backed out saying that they wanted more time or they would invest when the times change, etc. People see the potential of tehelka as a media brand and they are ready to invest but are waiting for the right time. This is the biggest media brand in the last 30-odd years. While some fear retaliation from the establishment, others are put off by the kind of independence we would like to have in running the organization. There is a tremendous difference between the match-fixing story that we broke and Operation Westend. In the match-fixing case, we were dealing with sportsmen, namely the top cricketers. The match-fixing story yielded great results because it led to two major inquiries: one by the CBI [Central Bureau of Investigation] and the other by International Cricket Conference. Cricketers are not the kind of people who would come and harm you and be vindictive. But the same is not the case with the politicians. If you hit them and if they are in power, they hit you with their immense power. They try and damage you. If the establishment is immoral, if it is unethical in its conduct, then it has the ability to damage that much more. Let me say that despite all this we are still there. We are still carrying on. We have survived because we are totally clean. They [the government] have tried their best but they have not found anything on us. The other thing that has kept us going is the goodwill of the people. I would say that even the most deranged in the government understands that the people are behind us completely. This has acted as some sort of a shield for us. We have got tremendous support from editors of various newspapers and from other media outfits. Even the Press Council of India has lauded our work. Our story was one of the most explosive pieces in Indian journalism. There has not been a similar story in the last 50 years with this kind of impact. I think Aniruddha Bahal and Samuel Mathew did an incredible story. If there are people who disagree with certain aspects of the story, they are free to do so. I have no problem with them on this count. Within journalism you can have different perspectives and it depends upon you on the kind of journalism that you want to practice. If people are happy doing press release kind of journalism, it is fine with me. In my opinion, the time has come in India for journalism to stand up and show its teeth. If that does not happen, then Indian democracy would be severely in danger. The next few years are very crucial. All governments, all powers, are malign. The only counter that the people of India have to the misuse of power is journalism. Journalists would increasingly become the warriors of the people. They must perpetually be in opposition to those who are in power. 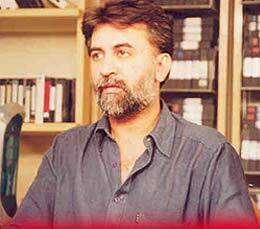 Tarun Tejpal, managing director and editor-in-chief of tehelka.com, spoke to Onkar Singh.